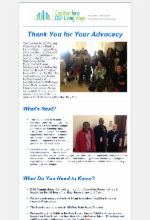 Public policy advocacy is most effective when family members, self-advocates, professionals and caring citizens work together! 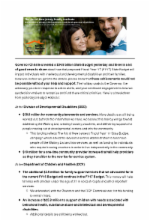 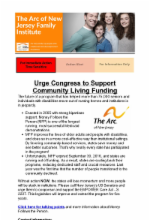 The Arc of New Jersey Family Institute empowers people to become personally involved in public policy. 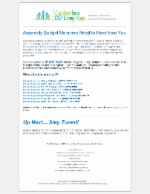 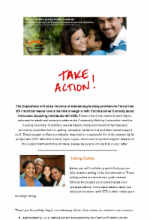 Action Alerts are sent out through our email list whenever a critical issue arises that families need to know about. 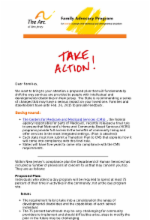 To view action alerts related to our Protect the Lifeline campaign, click HERE. 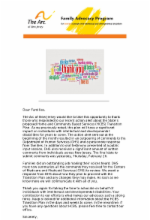 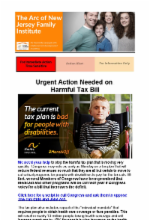 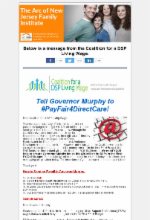 6.25.18 - DSP Coalition Action Alert: Email Governor Murphy! 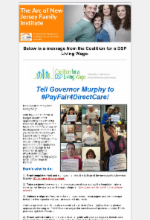 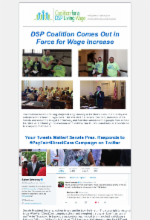 6.11.18 - DSP Coalition Action Alert: Tell Governor Murphy to #PayFair4DirectCare! 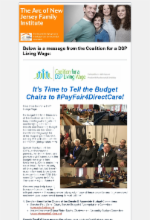 5.14.18 - DSP Coalition Action Alert: Take Action on Twitter! 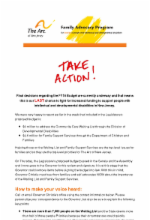 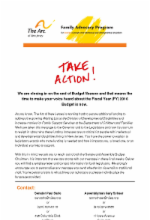 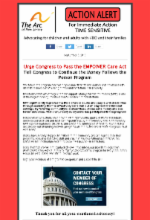 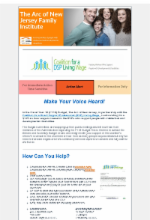 4.17.18 - DSP Coalition Action Alert: We Need Your Voice! 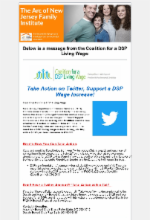 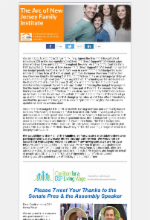 Support the DSP wage increase! 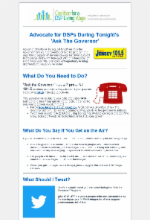 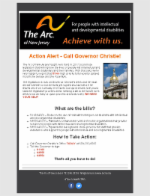 1.12.18 - Action Alert - Call Governor Christie! 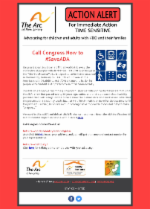 6.27.17 DSP Coalition - Call Speaker Prieto! 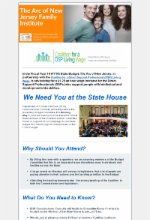 6.26.17 DSP Coalition - TONIGHT: Ask the Governor About DSPs! 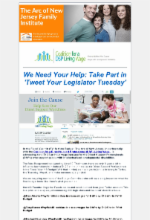 6.1.17 - DSP Coalition: Tweet TODAY for Twitter Thursday!!!! 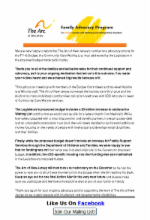 5.3.17 - DSP Coalition - Thank You for Your Support! 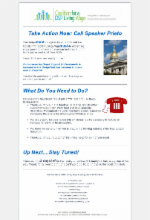 4.26.17 - DSP Coalition: Take a Stand at the State House!